Check the Events Calendar regularly to keep up on CANSCAIP events. CANSCAIP (Canadian Society of Children’s Authors, Illustrators and Performers) welcomes entries by unpublished writers for the 22st annual Writing for Children Competition. The deadline for entries is May 31, 2019. SPEAKERS: Get the inside scoop on how reviewers evaluate kids books. Sandra O'Brien is the editor of Canadian Children's Book News, published by the Canadian Children's Book Centre, and has been at the CCBC since 2009. Sandra has a B.Ed. from the University of Toronto and an M.Ed. in children's literature from the University of Technology in Australia. Sandra's love for kids books began as a teacher, continued to grow as a mother--and she can still quote lines from Phoebe Gilman's Jillian Jiggs. Rachel Seigel has worked for Canadian wholesalers for 15+ years, selecting books for elementary school, high school and public libraries. She's served on many review and award juries, most recently the CCBC's Best Books for Kids and Teens and the Amy Mathers Teen Book Award. Rachel is the author of 12 educational books for children, a frequent contributor to Canadian Children’s Book News, and co-host of a weekly Middle-Grade Chat on Twitter. DINNER WITH THE SPEAKERS AT 5:00: Everyone is welcome to come to dinner with the speakers before the meeting. Join us at at 5:00 at the CANSCAIP table at the back of The Pickle Barrel (Yonge-Eglinton Centre, 2nd floor). For simple payment, the restaurant provides individual bills. RSVP to Cathy Rondina. Tanya Trafford (Orca Book Publishers editor). The two editors will also host a First Thousand Word Editorial Event for authors who wish to submit their work in advance and receive feedback. Sorry, all 14 slots have been booked, but you will still have the opportunity to talk to them at the conference. You may bring books and CDs to sell at the book table. If you are an illustrator, you may also bring artwork to display or sell. Early bird registration closes March 30; registration closes on May 18. If you are a Friend or Member of CANSCAIP, please log in to see special member pricing. Important Note: As of March 19, all of the rooms at Queen's House have been booked. People wanting to stay in Saskatoon will need to book their own accommodations elsewhere, although meals can still be provided at Queen's House. Links to places to stay near Queen's House are posted on the website below. Recordings of the sessions will be available for sale separately. Links to the recordings will be emailed out shortly after the conference. See the schedule of events and other details at https://skcanscaip.wordpress.com . Shelley Tanaka, editor at Groundwood Press, and Tanya Trafford, editor at Orca Book Publishing, will be hosting the First Thousand Words Editorial Event as part of the Prairie Horizons 2019 conference in Saskatoon. The event will take place on Saturday May 25, 2019, from 1:00 to 2:30 pm. 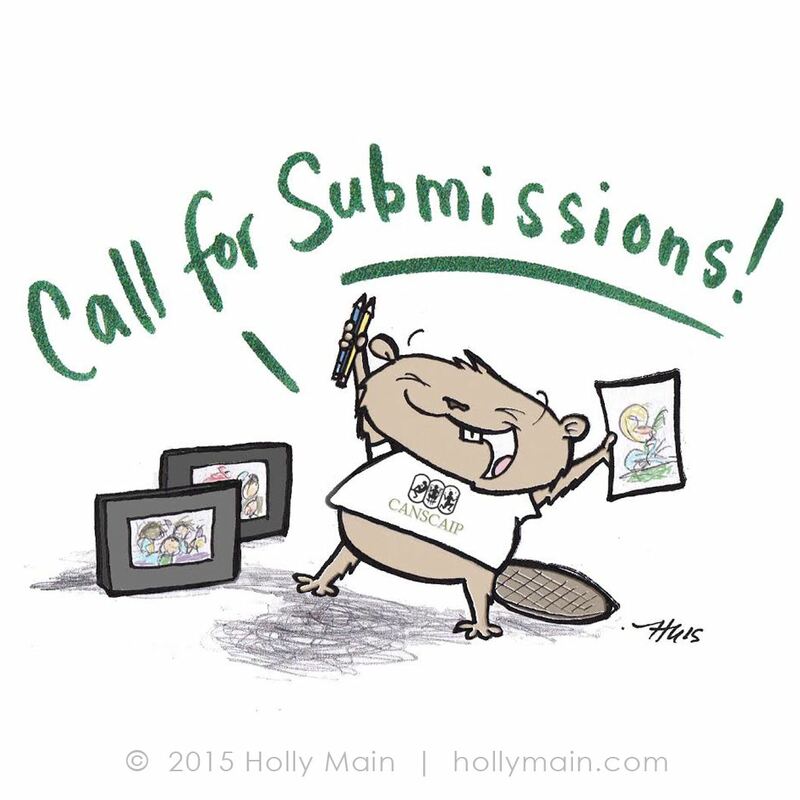 Submit the first thousand words of your picture book, chapter book, middle grade or young adult manuscript by May 10. It will be sent to one the two editors. At the conference, your editor will give you personalized feedback on your submission. Only 14 slots are available, so don't delay if you would like one. Sorry, you cannot choose which editor sees your submission. You will be emailed submission instructions after your registration is received. If you are a Member of Friend of CANSCAIP, please log in to receive the special member price. Only those registered for the Prairie Horizons 2019 conference in Saskatoon are eligible for this event. Can't make it to Prairie Horizons 2019 in Saskatoon, but wish you could? Or you are going but you know you'll want to watch the presentations over again? You have come to the right place. You can order recordings of all of the conference sessions right here. If you are a Member of Friend of CANSCAIP, please log in to receive the reduced member price. Links to the recordings will be emailed to you in June 2019, shortly after the conference ends on May 26.
presented annually for 35 years! Can’t be there in person? You can be there online with Virtual PYI! Friday, June 19, 2015 Rhyme Crimes: What Make Good Children's Poetry? Sunday, October 19, 2014 PYI Pitch Perfect!